Kiwanian Of The Year – The Kiwanian of the Year Award is given to one Kiwanian each year, at the annual holiday party.  The Kiwanian of the Year is designed to honor Kiwanians who have made a significant contribution to the club within the year. Click here to view the list of honorees. Table of Honor – The Tablet of Honor is one of the highest awards bestowed upon an individual from the Kiwanis International Foundation. Along with their plaque, each recipient’s name also appears on a Tablet of Honor accolade in the lobby of the Kiwanis International office in Indianapolis. Kiwanis Club of Greater Parsippany honored seven people for their hard work and dedication to the Kiwanis Club of Greater Parsippany. Click here to view the list of honorees. George F. Hixon Fellowship Recipients – Hixons are given to Kiwanians who have contributed to the betterment of the club. The Club is eligible to award a Hixon for each donation of $1,000 to the Kiwanis International Foundation. Click here to view the list of honorees.